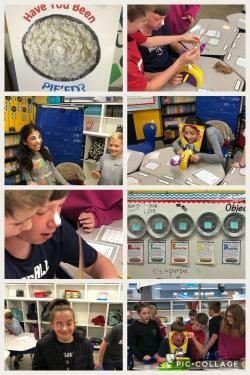 Multisensory Monday! 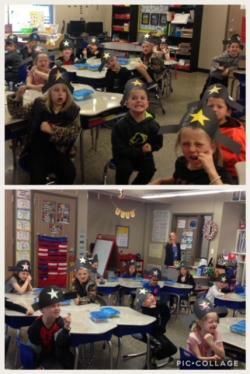 First grade practicing that Bossy R with pirate hats and a star! Arrrrr .... those the cutest pirates you’ve ever . . .
Teachers and administrators from the Cabot School District visited SES. They learned about and observed all the great things happening here for students! SES was standing out for . . .
Fifth grade has been working on Author’s Purpose. Mrs. Crass hooked their attention by placing signs around saying, “Have you been PIE’ED?” They used the acronym PIE’ED to help them remember . 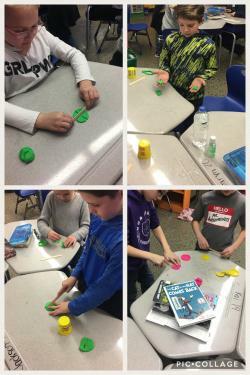 . .
Second grade has been practicing their fractions with play-dough and shaving cream! 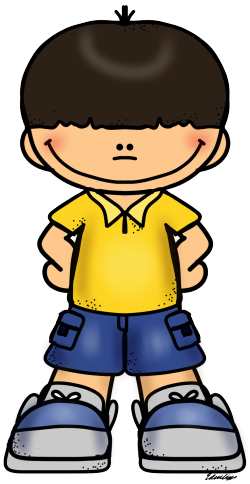 We love having fun while . . .